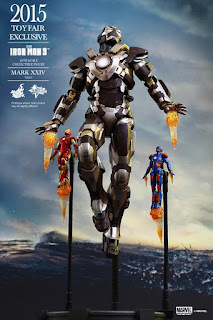 Hot Toys Iron Man Mark 24 Tank Toy Fair Exclusive reveal! Hot Toys resumes their mission in releasing the remaining Iron Man 3 armors starting with Mark 24 Tank! 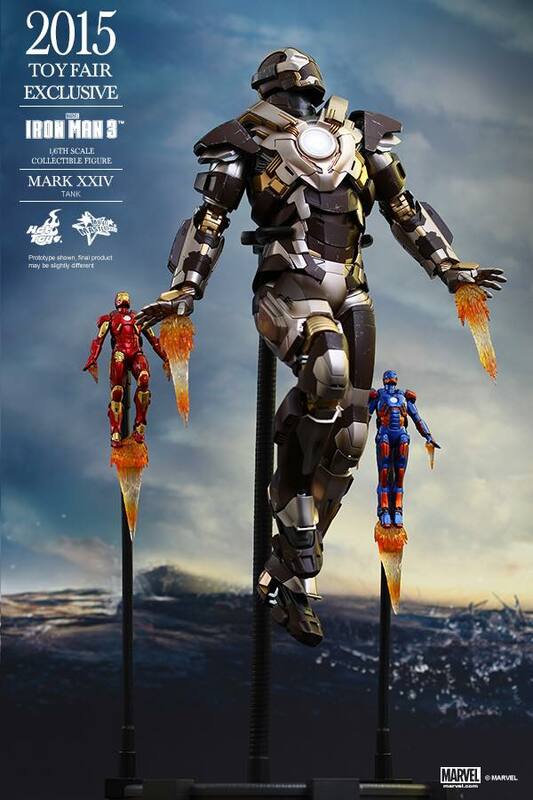 This will first debut in the upcoming Avengers 200% event in Tokyo Japan! Although just a repaint of HeartBreaker, this figure will also come with 2 mini-figures Mark 9 and Mark 27 Disco! 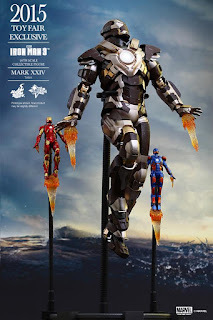 Could this mean we won't get to see Mark 27 in 1/6 form? Hopefully answers will be revealed during Q&A at the upcoming events!